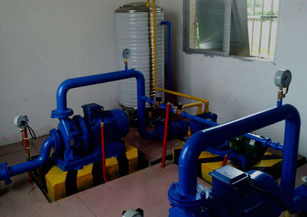 Project Introduction: In 2012, the document on Resolution to Accelerate the Development of Reform for Water Conservancy has been well studied and implemented in Jieshou Town, Xing'an County, Shenzhen Solartech PS15000 solar pumping system was adopted with the support from Xing’An Water Conservancy Bureau. The project has integrated solar pumping system with intelligent high-efficient water saving irrigation technologies, has solved daily water supply and irrigation problems of nearby residents. The solar water conservancy project builds a solar agriculture system, which helps improving the personal income of local people. 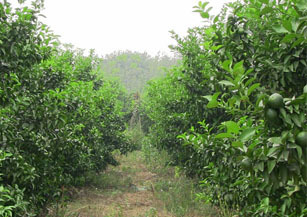 Solution: Jieshou Town is striving for the No.1 Orange Town in Guilin by planting new varieties of oranges and tangerines. Shenzhen Solartech PS15000 solar pump system has been applied in the citrus acreage. The daily water flow is 260-300m3 at 50m water head. 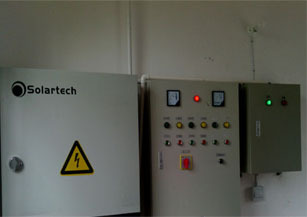 The project was completed at the end of March, 2012. The system has been in service to date after some modifications, it can fulfill the high-efficient, water saving irrigation for approx. 130 acres of orange. 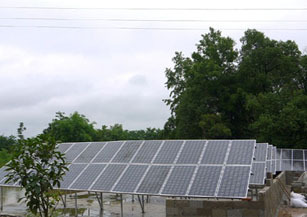 Economic Benefits: Solartech PS15000 solar pumping system can generate 49,275 kWh annually. In its 25-year service life, the system can save standard coal 463.2 tons, reduce the emissions of CO₂ 203.8 tons, SO₂ 9.3 tons, smoke 7 tons and ash 120.4 tons.